WHERE EVERYONE GOES FOR SCRIPTS AND WRITERS. InkTip Script Listings provide writers with the opportunity to get their scripts read by InkTip’s extensive network of producers, reps, manager, agents, and other qualified industry professionals. 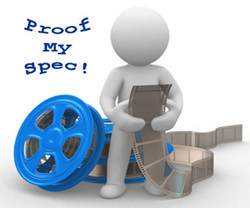 ProofMySpec.com provides high-quality editing &/or formatting at a low cost to make your script shine!